He attended Atlanta University, where he earned A.B. and M.A. degrees, and Columbia University in New York City. Johnson began his career as principal of the segregated Stanton School in Jacksonville. He began practicing law in Jacksonville in 1898, upon his admission to the Florida bar. In 1901, he moved to New York City with his brother, composer John Rosamund Johnson. In New York, the Johnson brothers wrote some 200 songs for Broadway productions. Johnson was born in Jacksonville, Florida, the son of Helen Louise Dillet and James Johnson. Johnson was first educated by his mother (a musician and a public school teacher—the first female, black teacher in Florida at a grammar school) and then at Edwin M. Stanton School. His mother imparted to him her considerable love and knowledge of English literature and the European tradition in music. At the age of 16 he enrolled at Atlanta University, from which he graduated in 1894. In addition to his bachelor's degree, he also completed some graduate coursework there. The achievement of his father, headwaiter at the St. James Hotel, a luxury establishment built when Jacksonville was one of Florida's first winter havens, gave young Jimmie the wherewithal and the self-confidence to pursue a professional career. Molded by the classical education for which Atlanta University was best known, Johnson regarded his academic training as a trust given him in the expectation that he would dedicate his resources to black people. 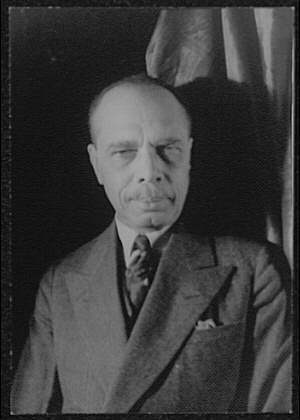 Johnson was also a prominent member of Phi Beta Sigma Fraternity, Inc.
— James Weldon Johnson, "Lift Every Voice and Sing"